I'll be my own king, right the blood my elders drew. This is my own thing, feels the same but still it's new. Lemaitre is a Norwegian indie-electro duo who formed in the summer of 2010. Together, Ketil Jansen & Ulrik Denizou Lund create a perfect blend of disco, indie and electro. In their short career, Lemaitre has already gained a following from all over the world and the Relativity EP series has taken them from the Norwegian underground into the ears of every discerning electro fan. Relativity 2, released in May 2012, went to #1 on the iTunes Electronica charts in the US & Canada, and top ten in 12 countries including the UK, Australia and France. 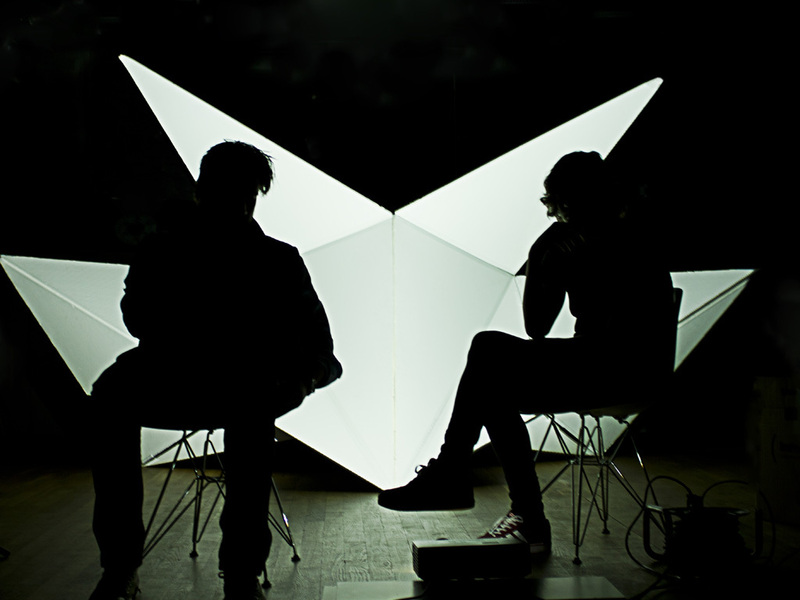 Lemaitre is influenced by artists like Justice, Phoenix, Daft Punk, Deadmau5, Noisia, Ratatat and Röyksopp. Oslo, January 2012,2013: 2012 was quite a year for the two 21 year olds who make up Lemaitre. With the release of the first two installments of their Relativity series they put themselves firmly on the radar as two of the most exciting young producers of uplifting electro around. They also launched their new live concept featuring three self-designed light installations complete with 3D animations, and hit stages around Scandinavia and Europe for the first time including Øya Festival, Hove Festival (both Norway), Peace & Love (Sweden) and Norwegian Wood (Tel Aviv). A first taste of the high life was a mad- dash helicopter ride between Hove and Peace & Love festival as they were playing both festivals on the same day. Another highlight was playing three sold out shows at India Music Week in November. But without doubt the biggest thing to happen to Lemaitre in 2012 was topping the iTunes Electronica chart in the US & Canada at the May, (consigning Grimes to a temporary #2 spot for a week,) with the Relativity 2 EP, released on the band’s own label, Substellar Records, and promoted using Facebook & Twitter only. This, along with charting in the top 10 of the same chart in 12 other countries led to considerable industry interest, and in June the band signed a worldwide booking agreement with Creative Artists Agency (LA/ London), arguably the biggest and most influential entertainment company in the world. The band have also picked up a number of influential champions in last few months, with Madeon, netsky, Porter Robinson and Camo & Krooked all expressing their admiration via social media. Madeon has the Lemaitre track ‘Time To Realize’from R2 in his dj set, and gave them their first ever Radio 1 (UK) play in November when he was a guest DJ there. Lemaitre have also remixed netsky, Lo Fi Fnk, and Porter Robinson recently, and are currently collaborating with Kamo & Krooked on a track for their new album.